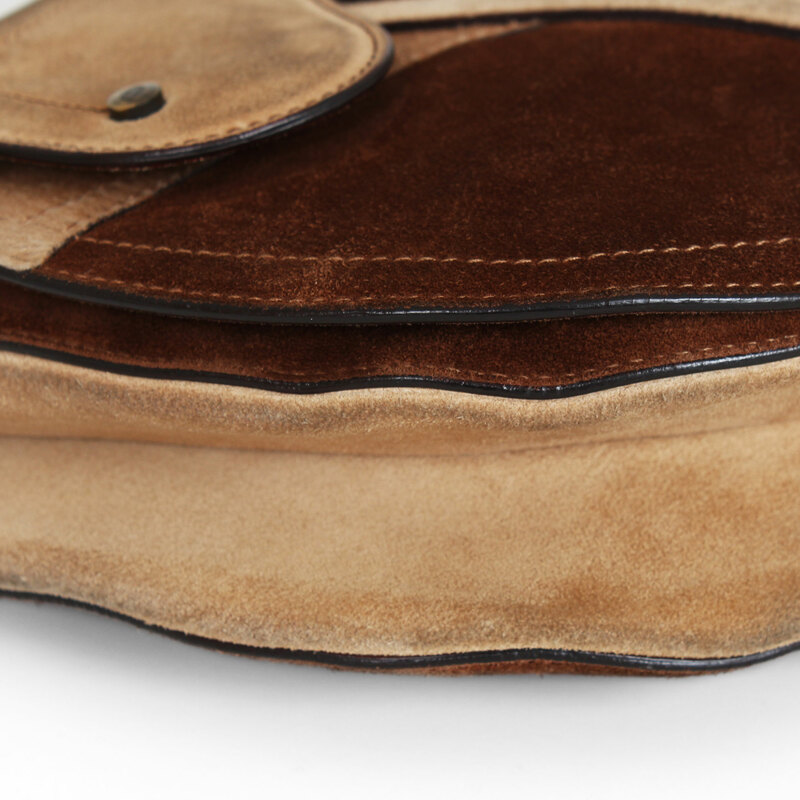 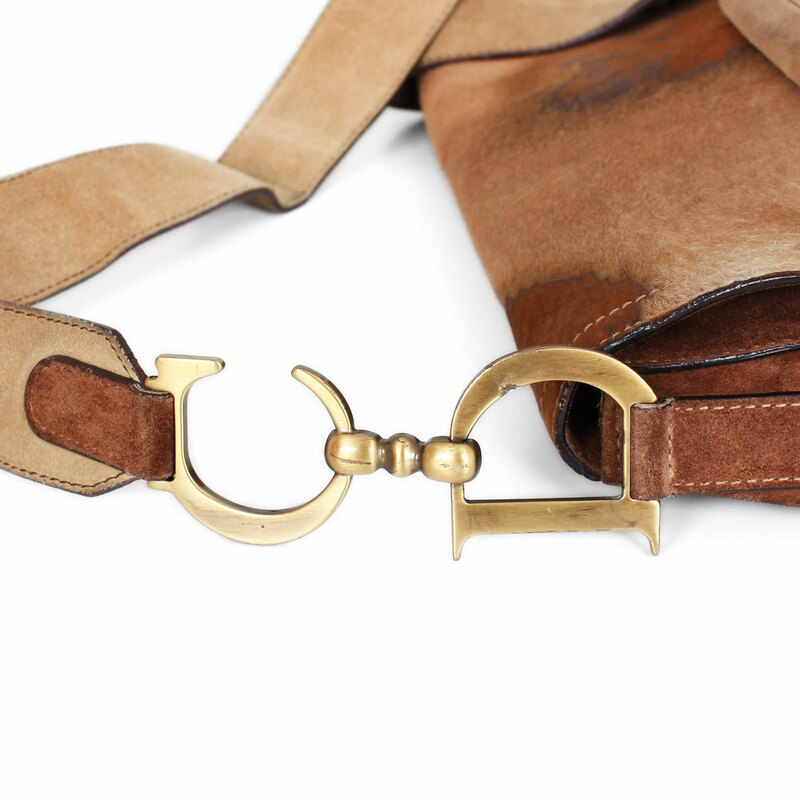 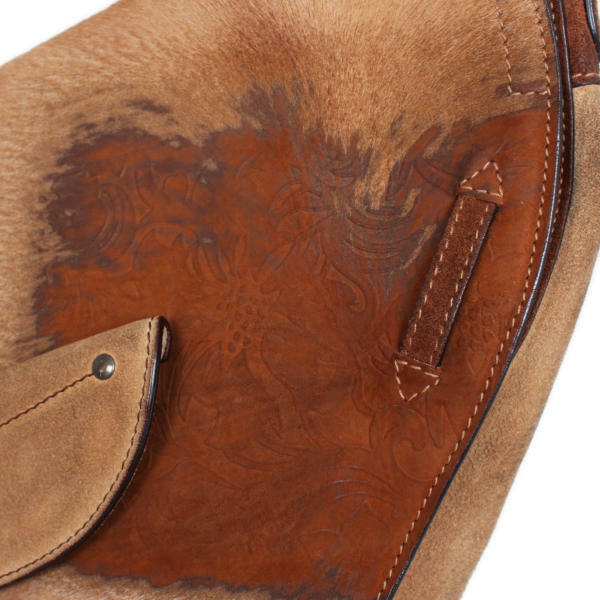 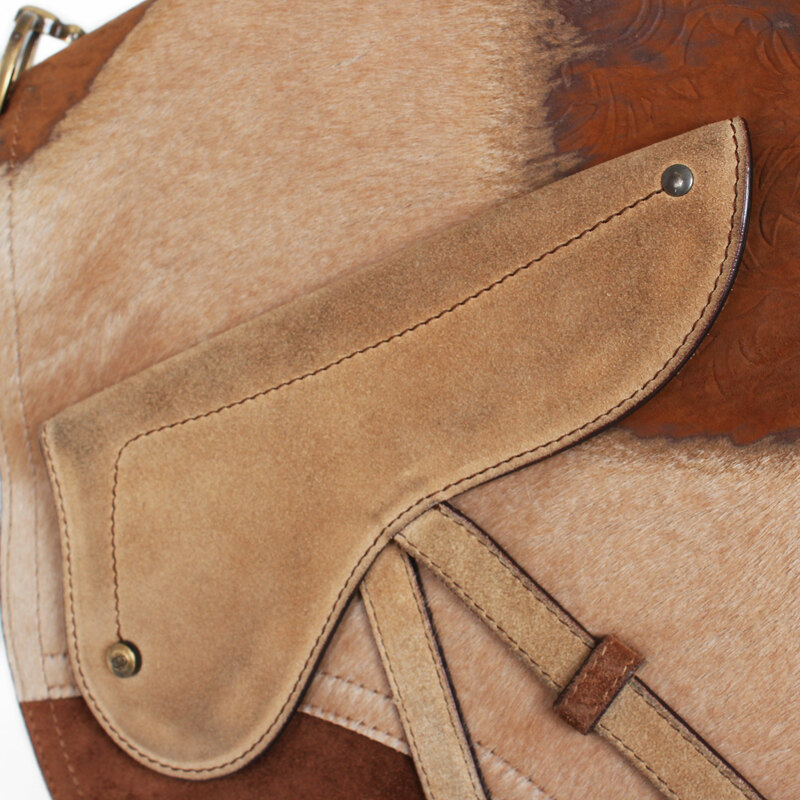 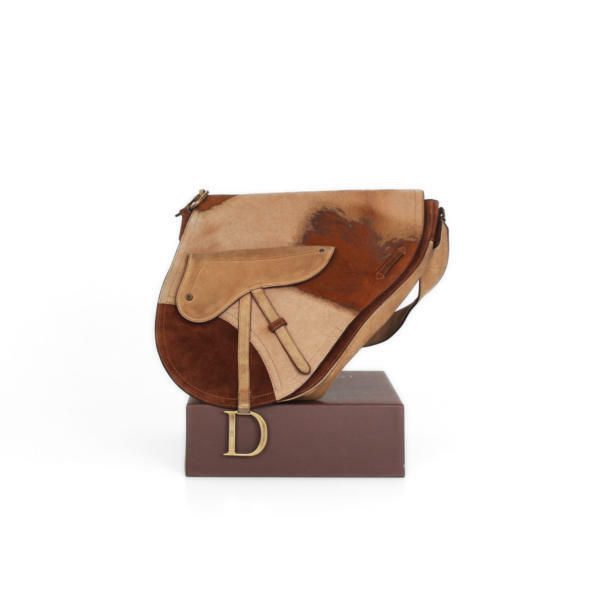 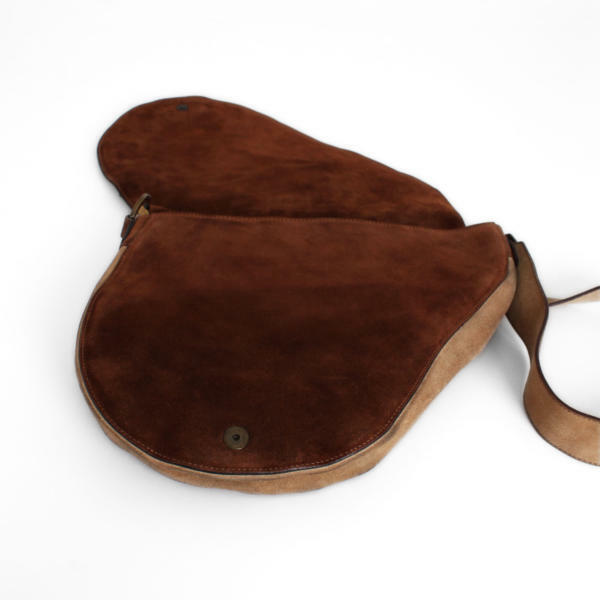 This Christian Dior Baudrier Saddle handbag comes from Dior’s S/S 2002 collection and is an equestrian gaucho style messenger bag, iconic in the house with a fabulous design hard to find. In CBL Bags we are dedicated to buying and selling luxury handbags like this Christian Dior Baudrier Saddle bag. 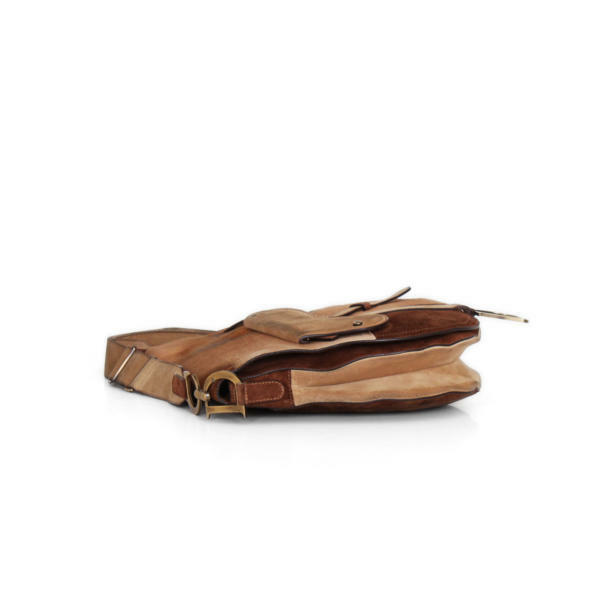 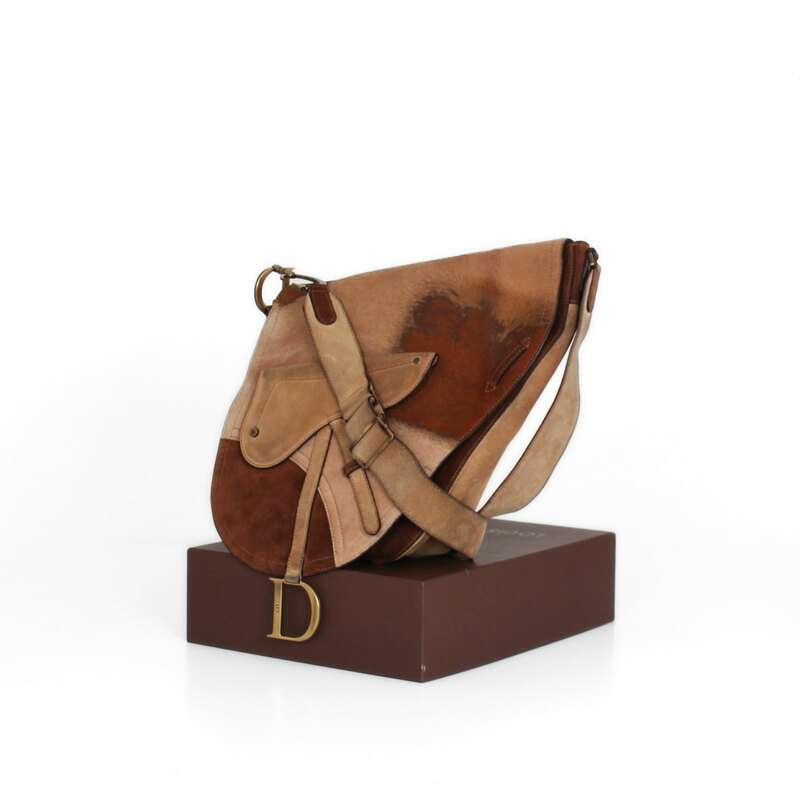 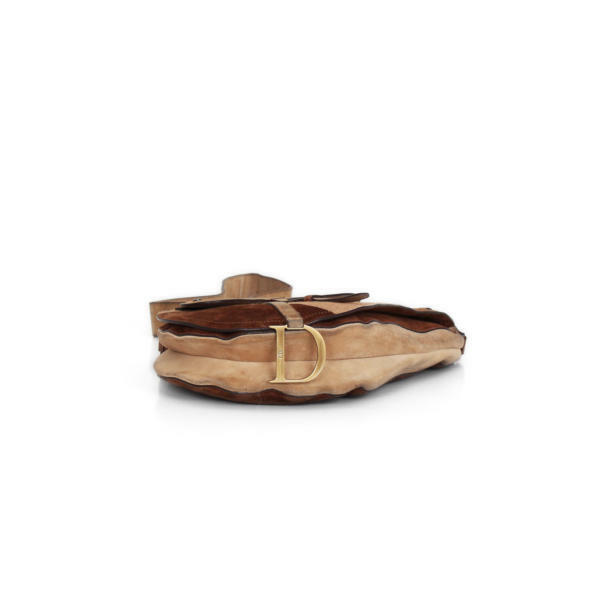 This Christian Dior bag is crafted of brown and beige leather and suede with antique bronze fittings. 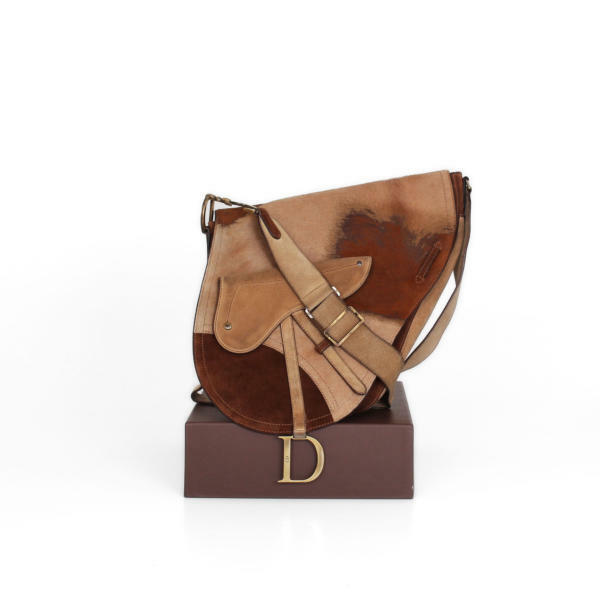 It has an adjustable shoulder strap with details with Christian Dior acronyms. 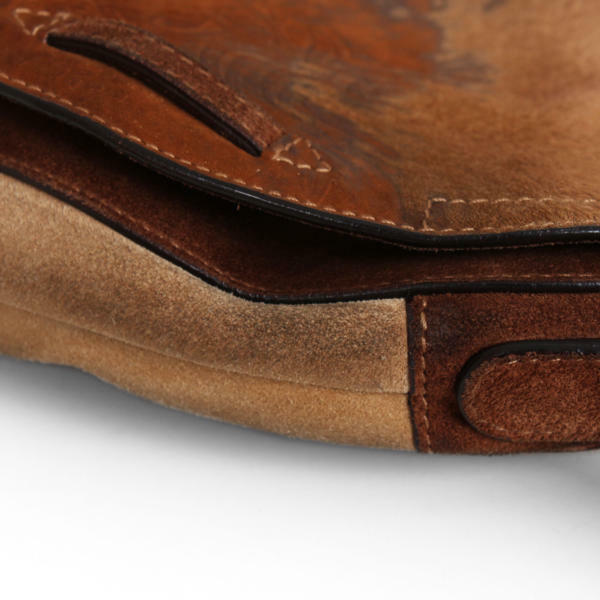 On the exterior of the frontal flap, with embossed leather details, has a single pocket with zip and flap closure folding. 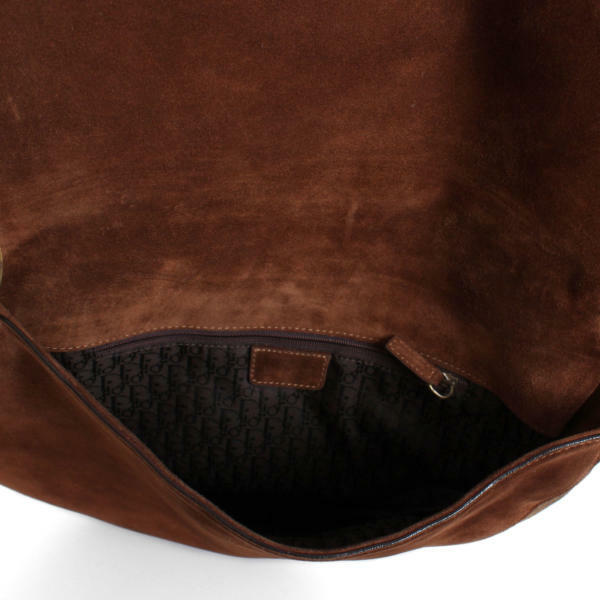 A large front flap with magnetic closure opens to the main compartment that is lined in fabric with the Dior monogram and includes an inner zipped pocket. 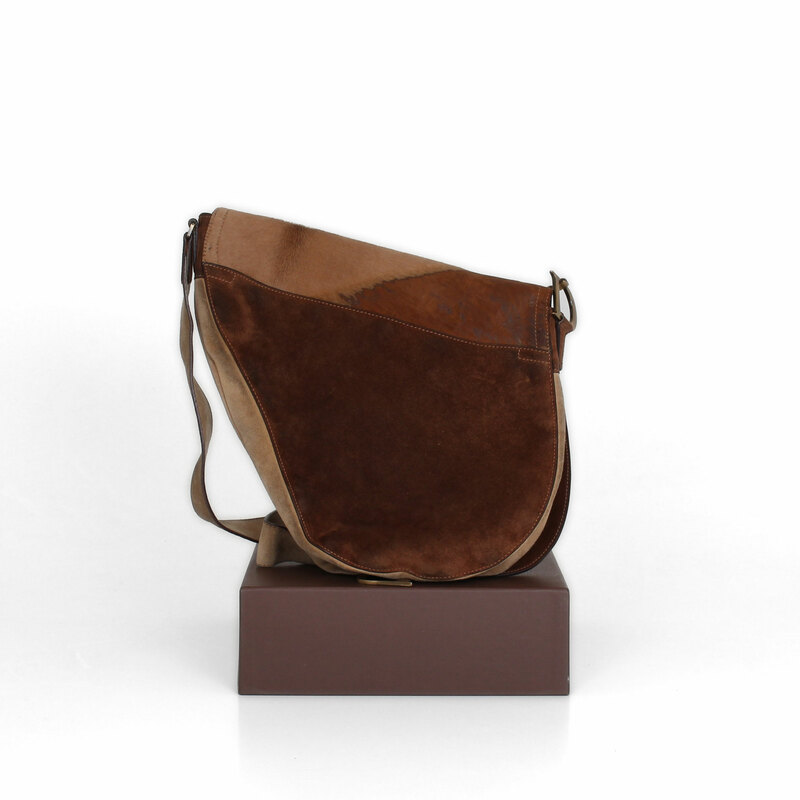 A vintage piece by Christian Dior hard to find!